The Art of Game Design gives you useful perspectives on how to make better game designs faster. It provides practical instruction on creating world-class games that will be played again and again. 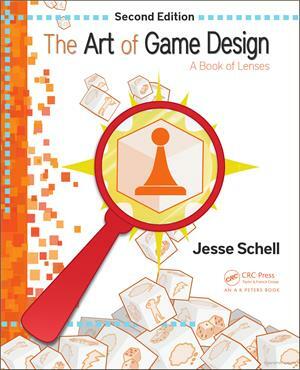 Jesse Schell is an American video game designer and a Distinguished Professor of the Practice of Entertainment Technology at Carnegie Mellon University's (CMU) Entertainment Technology Center (ETC), a joint master's program between Carnegie Mellon's College of Fine Arts and School of Computer Science, where he teaches game design and leads several research projects. He is also CEO of Schell Games, an independent game studio in Pittsburgh. Formerly he was creative director of the Walt Disney Imagineering Virtual Reality Studio and chairman of the International Game Developers Association (IGDA).